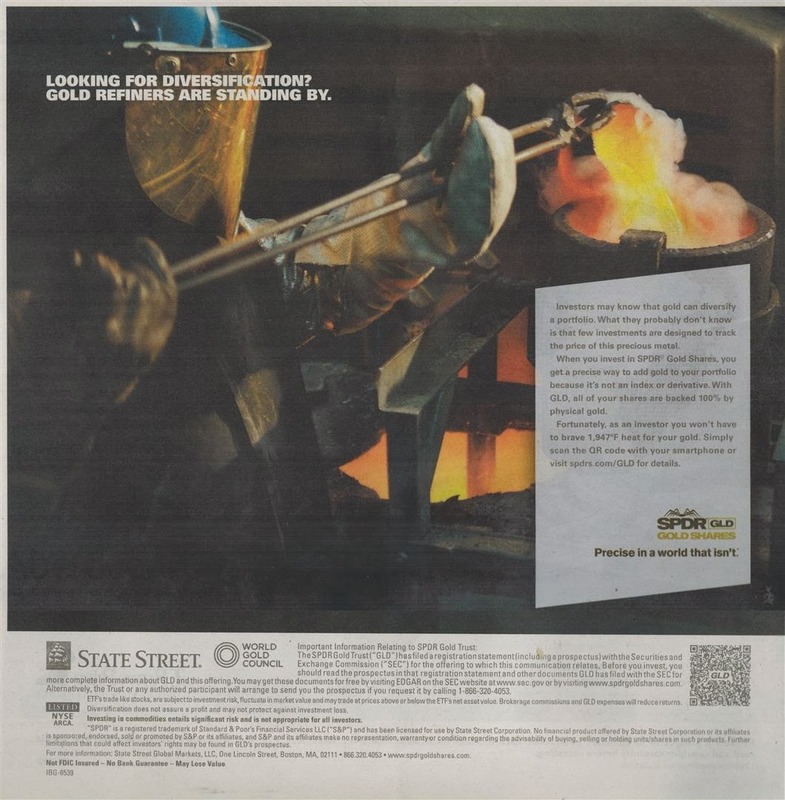 Fortunately, as an investor you won’t have to brave 1,947°F heat for your gold. 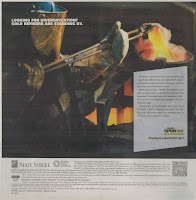 Simply scan the QR code with your smartphone or visit spdrs.com/GLD for details. Perhaps they should just stamp “nonconformist” on each bar. For many, gold investments break the mold. That’s because they generally don’t behave like other investments. The reason gold may act like nothing else is because it’s typically not tied to the ups and downs of traditional equity markets. With SPDR Gold Shares, you also have a precise way to add gold to your portfolio since GLD is 100% backed by physical gold. Learn more about an investment that has diversification written all over it. Scan the QR code with your smartphone or visit us at spdrs.com/GLD for details. 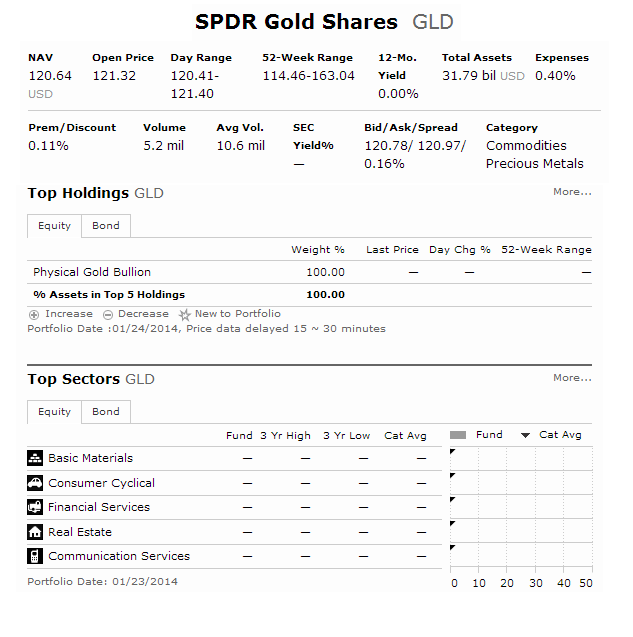 SPDR GLD – Gold Shares | Precise in a world that isn’t. State Street. World Gold Council. The investment objective of SPDR Gold Trust is to replicate the performance, net of expenses, of the price of gold bullion. It offers investors an innovative, relatively cost efficient and secure way to access the gold market. This exchange traded fund was introduced to public in November 2004. It has total net assets of $35.87 billion. It is currently traded at premium 0.01% of its NAV. It also has annual expense ratio of 0.40%. The SPDR Gold Shares fund represents fractional, undivided beneficial ownership interests in the Trust, the sole assets are gold bullion and cash. It is intended to lower the barriers that stop investors from using gold as an asset allocation and trading tool. Logistics of buying, storing and insuring gold are the common barriers. Investing in precious metals can be used as a hedge. Invest about 10% of your assets can diversify your account.